A recognizable, adventurous compact SUV, the Volkswagen Tiguan has a old-fashioned style all its own. A popular vehicle in VW’s lineup, the dependable Tiguan returns for the 2016 model year–before it receives a design overhaul for 2017. 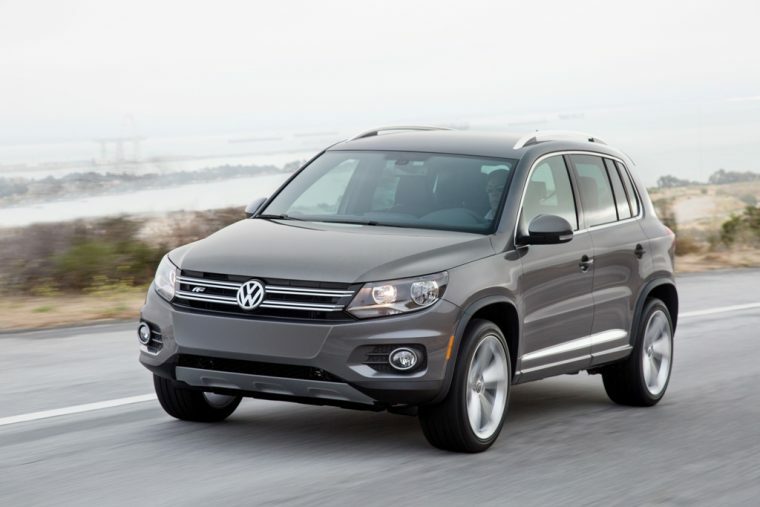 What’s New for the 2016 Volkswagen Tiguan? The Volkswagen Tiguan adds the new MIB II infotainment system and a USB port for this year. The last of its product cycle for 2016, an all-new Volkswagen Tiguan will arrive for the 2017 model year. 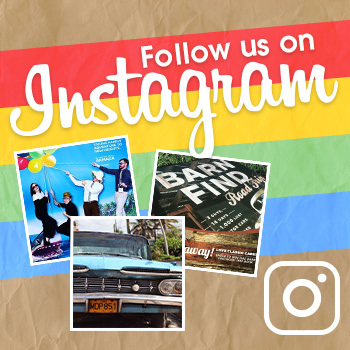 So, be prepared for some big changes coming up! The 2016 Volkswagen Tiguan comes in two styles: 2.0T and R-Line 2.0T. The 2.0T is offered in six different variants (S, S 4MOTION, SE, SE 4MOTION, SEL, and SEL 4MOTION), while the R-Line 2.0T comes in two versions (R-Line and R-Line 4MOTION). 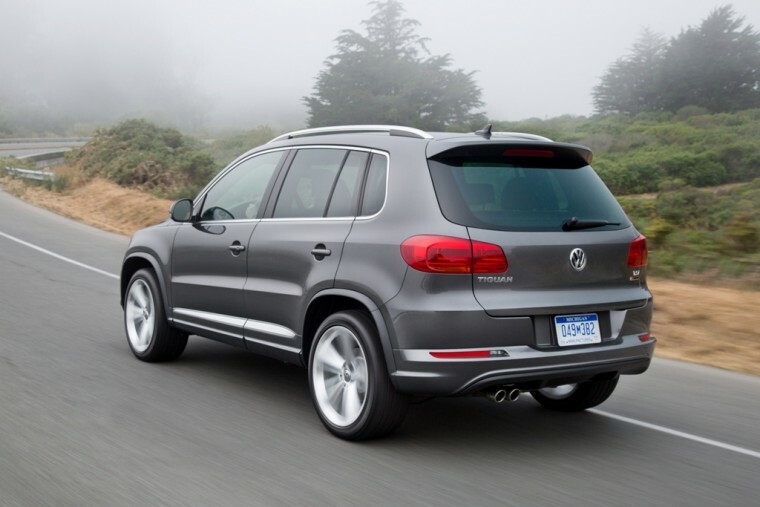 The 2016 Volkswagen Tiguan offers a conservative style without sacrificing the utility and capability of a crossover. While it isn’t particularly sporty or tough-looking, the Tiguan isn’t designed to stick out in a crowd. Larger wheels and the vehicle’s height separate it from the Volkswagen Golf. While the Tiguan crossover won’t be taking home any major awards for its conservative design, its straightforward and versatile style will appeal to specific buyers. 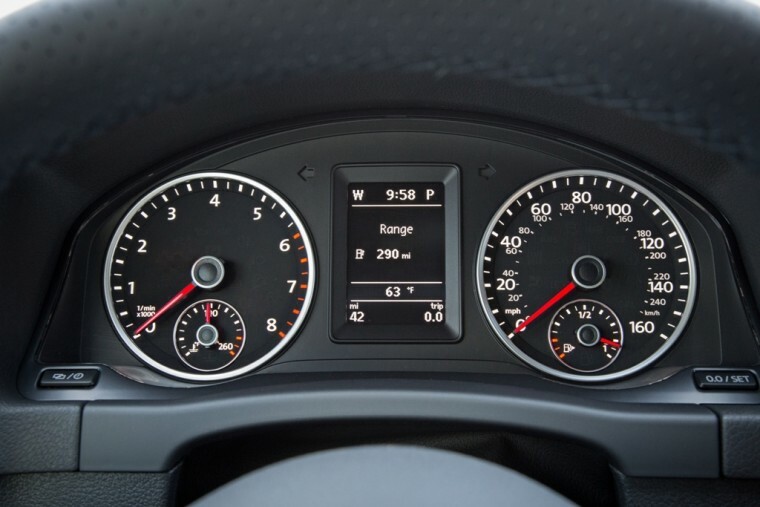 Designed for utility, the 2016 Volkswagen Tiguan isn’t breaking any land speed records. This crossover comes with a single available engine. 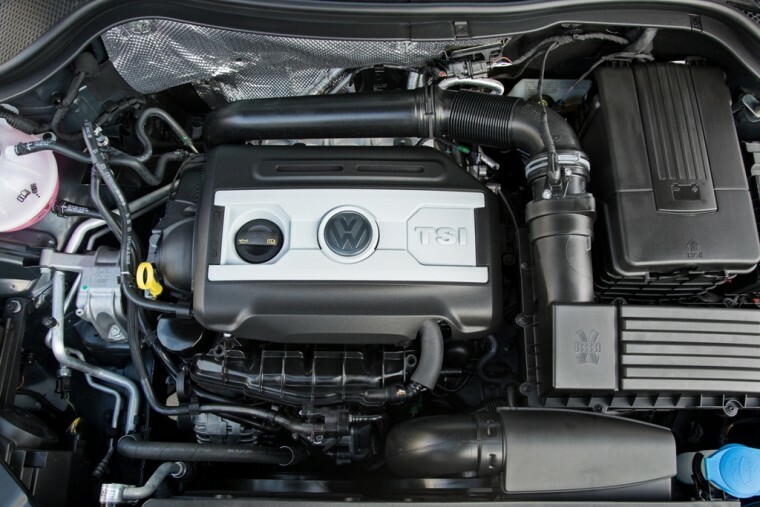 The Tiguan’s 2.0-liter turbocharged four-cylinder engine puts out 200 hp and 207 lb-ft of torque. Mated to a six-speed automatic transmission, the Tiguan boasts the weaker of Volkswagen’s two turbocharged four-cylinder engines. Fuel economy is relatively low despite the 2016 Volkswagen Tiguan’s four-cylinder engine. With only one Tiguan powertrain available, buyers are limited when it comes to fuel efficiency. The 2.0-liter turbocharged four-cylinder engine, mated to a six-speed automatic transmission, delivers an EPA-estimated 21 mpg in the city and 26 mpg on the highway with front-wheel drive. With all-wheel drive, fuel economy drops to an EPA-estimated 20 mpg in the city while remaining steady at 26 mpg on the highway. 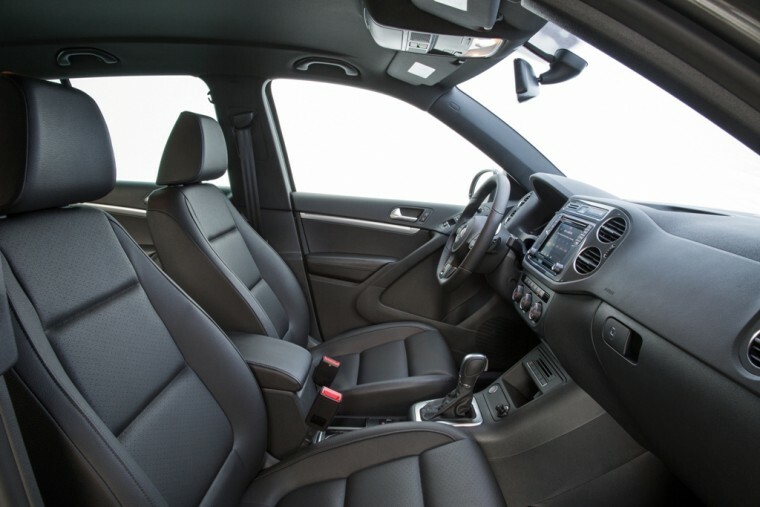 The 2016 Volkswagen Tiguan’s interior is exactly as it seems at first glance. The controls are straightforward and the details are all polished. The front seats are comfortable and supportive and the base model gains leatherette upholstery for the 2016 model year. Meanwhile, the top trims get pristine leather. The attention to detail screams premium brand. As for space, the Volkswagen Tiguan provides plenty of room, even without third-row seating. Designed for full-sized adults, this crossover offers seats that can tilt and slide for maximum comfort. 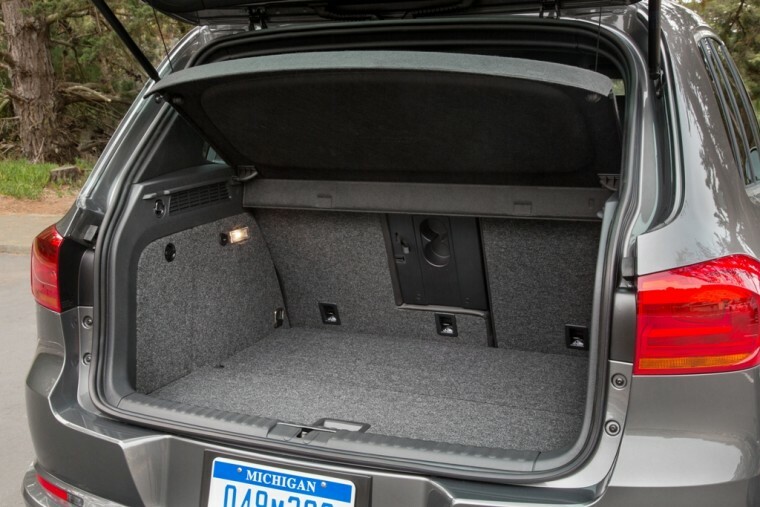 When the rear seats are folded, the Tiguan offers a whopping 56 cubic feet of cargo space. Providing 24 cubic feet of space with the rear seats up, the Tiguan also offers a hidden storage bin under the floor, cubbies scattered throughout, and a two-compartment glove box. Due to an older design, the 2016 Volkswagen Tiguan doesn’t quite measure up to competitors in terms of safety. The Tiguan does offer rear side thorax airbags as an optional feature and models equipped with all-wheel drive offer hill descent control. Hill-hold is a standard feature on all models and, like the 2015 model, the latest Tiguan features a standard rearview camera. Higher-tier models feature bi-xenon headlights with adaptive programming as well. Lacking advanced safety features like blind-spot monitors and forward collision alert, the Volkswagen Tiguan earned moderate marks on tough government safety tests. The NHTSA gave the Tiguan a four-star rating. Falling short in the overlap front crash test, the Tiguan isn’t eligible for the IIHS’s Top Safety Pick list.